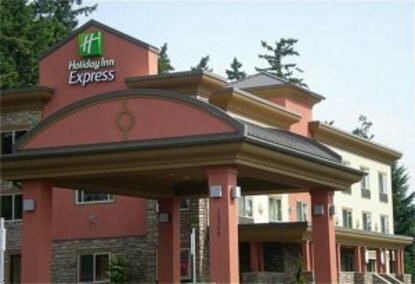 The BRAND NEW Holiday Inn Express Portland-South location is perfect for your business or pleasure trip to the Portland Area. Being located just off of Interstate 5 off of exit 291 Carmen Dr. in the Lake Oswego/Tigard area makes it easy to stay connected to all parts of the area including downtown Portland which is only 9 miles north of the hotel. Great tax free shopping and dinning is only minutes away at the famous Bridgeport Village, Woodburn Outlets and Washington Square. This hotel is committed to providing accessible facilities under the American Disabilities Act. If your accessibility needs are not met, please contact the Hotel Manager on Duty. Should you require additional information regarding accessible facilities for guests with disabilities, please call 1-800-Holiday (U.S. and Canada) or contact the hotel directly. For the hearing impaired, TDD service is available at 1-800-238-5544 within the U.S. and Canada.